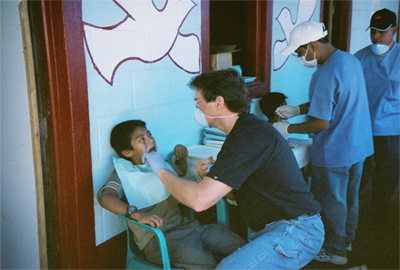 Dr. Duffy and his staff members have made several trips to Guatemala providing dental care and supplies to the Mayan people. 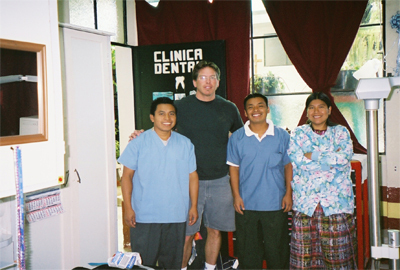 Dr. Duffy and his Dental Assistant Kim at the San Lucas clinic. 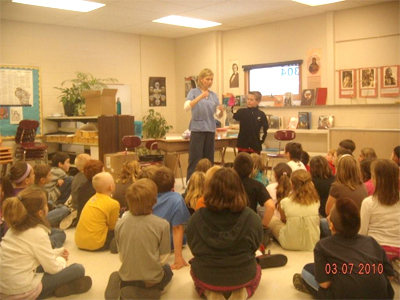 Dental Hygienist Taylor helping during Dental Health Week. 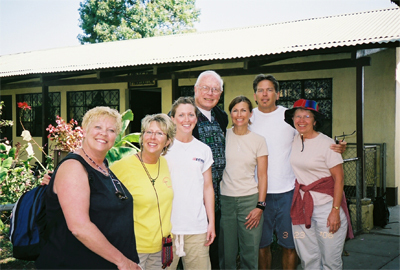 Dr. Duffy, Father Greg and team in San Lucas, Guatemala. 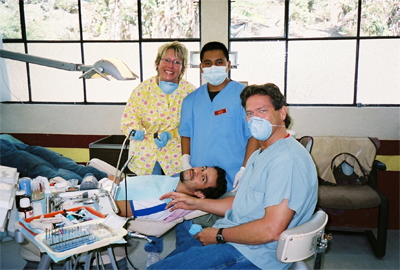 Dr. Duffy with Pedro, Jose and Blanca. 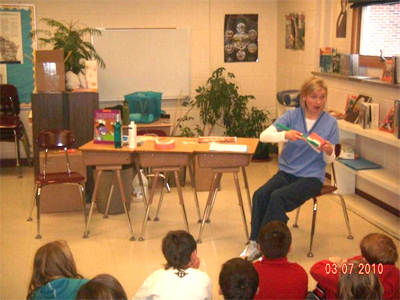 Teresa, a dental hygienist at Hayward Family Dentistry, went to the 3rd grade classes at Hayward Elementary to demonstrate proper brushing, flossing and nutrition. 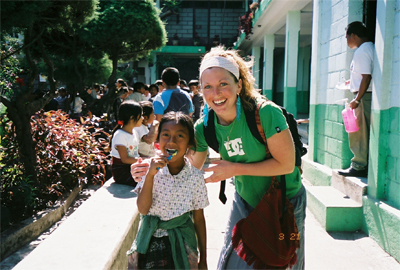 Every year Dr. Duffy donates toothbrushes and toothpaste to the third graders during dental health month.